Xiaomi launched a new brand as POCO with a great phone named POCO F1. This phone changed the definition of made the mid-range Android smartphones. The POCO F1 comes with flagship processor Snapdragon 845 and liquid cooling technology within just 21000 rs or USD 299 only. If you own this device and want to root it to explore more feature, then this guide is for you. 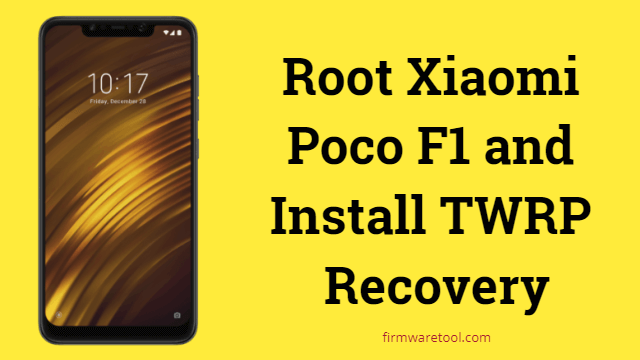 The article explains how to root POCO F1 and how to install TWRP recovery on POCO F1. Also included how to unlock the bootloader of POCO F1. Remove unwanted bloatware apps that come pre0installed with the phone. Increase the performance of the phone. Customize the phones UI, settings, system files, etc. Install Custom ROMS that can further extend the functionality of the phone. Increase battery life of your device using the apps/ROMs that block background running apps/processes. Charge your PCOC F1 above 75%. Enable USB debugging on POCO F1. this is required to be able to use adb commands. GO to settings –> About phone and tap on MIUI build number 7 times to unlock developer options. Then press back button, open additional settings and then open developer options and enable USB debugging. Go to Settings —> Additional settings –> developer options, then enable OEM unlock. Login to Mi account by going to Settings —> Additional settings –> Mi Unlock status. Backup all your internal memory data, as Unlocking bootloader wipes all data. Install the proper adb drivers of your Phone. Rooting a phone generally involves 3 steps. we will see all these steps in detail. Step1: At first, open Mi bootloader Unlock website on your computer and click on Unlock Now button. 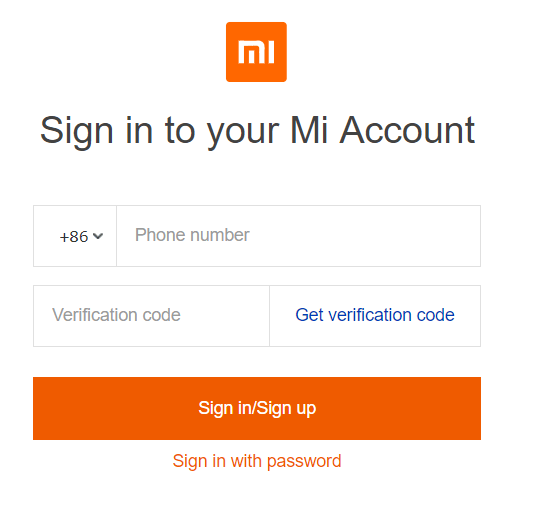 Step2: Noe, enter your login details of Mi account. Log in with the same mobile number that you used to log in on POCO F1. If you don’t have a Mi account, then create one. Step3: After you will be asked to enter your name, mobile number. Step4: On next screen, enter OTP received on your device to verify and click on Apply Now. Step5: Next screen with the message, “Submitted, please wait for the review” is displayed. You have to wait untill the unlock request is approved. Remember that, POCO F1 requires 3 days to approve the bootloader Unlock request. Step6: Now download Mi unlock tool from above download section, and click on miflash_unlock.exe to open the tool. Step7: At first launch, the tool gives disclaimer warning, click on Agree to allow it. 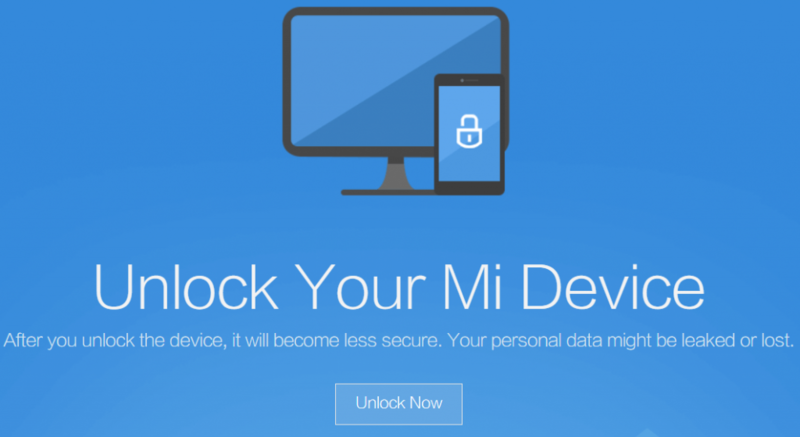 Step8: Now, sign in to Mi unlock tool with the same details that you used to login to your phone and for applying bootloader unock request. Step9: Turn off your POCO F1 and press power button + Volume down button simultaneously to boot into fastboot mode. 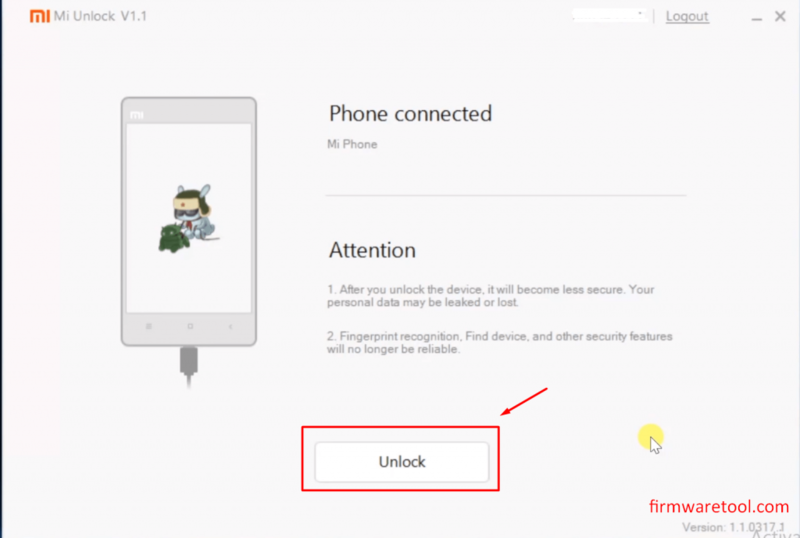 Step10: Now click on UNLOCK button on Mi unlock tool to start the unlocking process. Step11: Wait untill the process completed. After completion, the device will automatically reboot and bootloader is unlocked. Step1: At first, connect the device to PC. Step3: Now, press SHIFT button from your keyboard and then right-click anywhere in the blank space in adb folder. Step4: select the option – Open command prompt here OR open PowerShell window here. Step5: Type following command on cmd tool. Step6: On the phone, a pop-up notification asking a permission appears on the screen. Press Allow button to give adb access. Step7: Now again type adb devices command to see the device is recognized by the computer. Step8: Now type the following command and press enter to boot the phone into bootloader mode. Step9: Now download POCO F1 TWRP recovery image from above downloads section and copy it on adb folder. Step11: Once the flashing process completed, firstly you have to boot into TWRP recovery. TWRP recovery on PC F1 is now installed successfully. The final stage is root POCO F1 through the magisk zip. Step1: Once you are in TWRP recovery, tap on the ‘Keep Read Only’ button to not allow system modifications. Step2: Tap on install option and select a Disable-Force-Encryption-Treble.zip file from your phone memory. Step3: go back to main screen and select Reboot –> Recovery. Step4: After device boots in recovery again, select Wipe and then Format Data. This will format all your phones data. Step5: Now the force encryption is disabled on your phone. You can now root PCOCO F1 using Magisk Zip. Step6: Go to Install and select magisk zip file to root the phone. If the file got erased due to format in step4, open advanced –> file manager and then copy the magisk zip file in your phone’s memory. Step7: Now reboot (Reboot –> System Reboot) your device and root is enabled on your phone. You can now see Magisk Manager on your apps list which means POCO F1 root is now enabled.